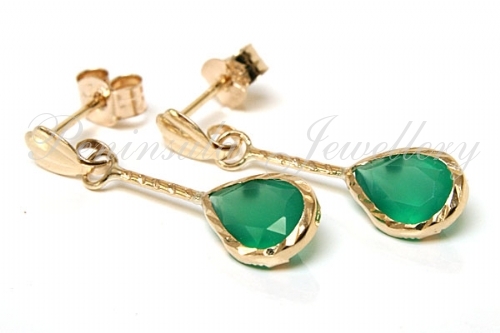 Classic style teardrop earrings featuring 7x5mm pear cut Green Agate gemstones in diamond cut settings, suspended on rope effect posts, with 9ct gold fittings. 22mm long. Made in England. Presented in a luxury gift box – Great Gift! !